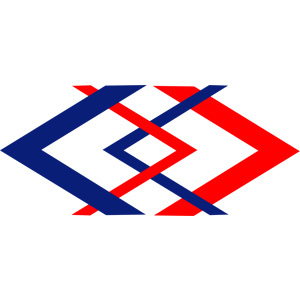 Finansia Syrus Securities Public Company Limited 04 Mar 2019 780 KB. Finansia Syrus Securities Public Company Limited 15 Jan 2019 1017 KB. KGI Securities (Thailand) Public Company Limited 24 Dec 2018 803 KB. Finansia Syrus Securities Public Company Limited 12 Nov 2018 686 KB. KGI Securities (Thailand) Public Company Limited 12 Nov 2018 235 KB. Finansia Syrus Securities Public Company Limited 18 Oct 2018 959 KB. KGI Securities (Thailand) Public Company Limited 05 Oct 2018 834 KB. Asia Wealth Securities Co., Ltd 20 Sep 2018 756 KB. Maybank Kim Eng Securities (Thailand) Public Company Limited 10 Aug 2018 1.01 MB. KGI Securities (Thailand) Public Company Limited 10 Aug 2018 286 KB. Finansia Syrus Securities Public Company Limited 10 Aug 2018 740 KB. Finansia Syrus Securities Public Company Limited 12 Jul 2018 1011 KB. Asia Wealth Securities Co., Ltd 14 May 2018 831 KB. Finansia Syrus Securities Public Company Limited 11 May 2018 738 KB. Finansia Syrus Securities Public Company Limited 24 Apr 2018 927 KB. KGI Securities (Thailand) Public Company Limited 28 Feb 2018 232 KB. Phillip Securities (Thailand) Public Company Limited 24 Jan 2018 533 KB. Finansia Syrus Securities Public Company Limited 15 Jan 2018 963 KB. Phillip Securities (Thailand) Public Company Limited 21 Dec 2017 481 KB. Finansia Syrus Securities Public Company Limited 10 Nov 2017 611 KB. Finansia Syrus Securities Public Company Limited 16 Oct 2017 352 KB. KGI Securities (Thailand) Public Company Limited 11 Aug 2017 221 KB. Finansia Syrus Securities Public Company Limited 11 Aug 2017 137 KB. Finansia Syrus Securities Public Company Limited 13 Jul 2017 1.19 MB. Asia Wealth Securities Co., Ltd 04 Jul 2017 862 KB. KGI Securities (Thailand) Public Company Limited 04 Jul 2017 2.58 MB. Finansia Syrus Securities Public Company Limited 12 May 2017 137 KB. Finansia Syrus Securities Public Company Limited 24 Apr 2017 627 KB. KGI Securities (Thailand) Public Company Limited 23 Feb 2017 208 KB. Finansia Syrus Securities Public Company Limited 23 Feb 2017 140 KB. KTB Securities (Thailand) Company Limited 28 Nov 2016 1.62 MB. KGI Securities (Thailand) Public Company Limited 11 Nov 2016 107 KB. Finansia Syrus Securities Public Company Limited 11 Nov 2016 144 KB. KGI Securities (Thailand) Public Company Limited 04 Nov 2016 431 KB. KTB Securities (Thailand) Company Limited 31 Oct 2016 1.56 MB. Finansia Syrus Securities Public Company Limited 19 Oct 2016 334 KB. KTB Securities (Thailand) Company Limited 12 Sep 2016 1.29 MB. Asia Wealth Securities Co., Ltd 15 Aug 2016 1.37 MB. Finansia Syrus Securities Public Company Limited 11 Aug 2016 148 KB. KGI Securities (Thailand) Public Company Limited 11 Aug 2016 191 KB. KGI Securities (Thailand) Public Company Limited 05 Aug 2016 447 KB. Asia Wealth Securities Co., Ltd 04 Aug 2016 1.19 MB. Finansia Syrus Securities Public Company Limited 26 Jul 2016 192 KB. KGI Securities (Thailand) Public Company Limited 06 Jul 2016 956 KB. Bualuang Securities Public Company Limited 13 May 2016 252 KB. Finansia Syrus Securities Public Company Limited 13 May 2016 144 KB. Finansia Syrus Securities Public Company Limited 20 Apr 2016 187 KB. Phillip Securities (Thailand) Public Company Limited 18 Mar 2016 242 KB. KGI Securities (Thailand) Public Company Limited 29 Feb 2016 101 KB. Bualuang Securities Public Company Limited 26 Feb 2016 259 KB. KGI Securities (Thailand) Public Company Limited 05 Feb 2016 1.08 MB. Finansia Syrus Securities Public Company Limited 05 Jan 2016 151 KB. KGI Securities (Thailand) Public Company Limited 05 Jan 2016 807 KB. Phillip Securities (Thailand) Public Company Limited 05 Jan 2016 556 KB. Bualuang Securities Public Company Limited 04 Jan 2016 786 KB. KGI Securities (Thailand) Public Company Limited 09 Dec 2015 601 KB. Finansia Syrus Securities Public Company Limited 27 Nov 2015 161 KB.